30 April 2010 -The 2nd Biblical month has begun, the new moon having been sighted after sundown 15 April. The countdown to Shavuot (Pentecost) is also underway, having started the 50-day count beginning 4 April. According to Lev 23:15-16, we are to count 7 sabbaths to 22 May. Then the day after the 7th sabbath is 23 May, which is day 50 — called Pentecost meaning fifty. The (second-month) Passover is the 14th day of the second Biblical month, from sundown 28 April, to sundown 29 April. The (second-month) 7-day Feast of Unleavened Bread is underway, from 30 April through 6 May. The (second-month) day of ‘Early Firstfruits’ is Sunday, 2 May, beginning Saturday at sundown 1 May. This day is the 17th day of the 2nd Biblical month, which happens to correspond to the first day of Noah’s Flood (Genesis 7:11) — which day is prophetic of the ‘days of Noah’ in which the Windows of Heaven are to open for a great outpouring of the Holy Spirit. I would suggest we do whatever it takes to be in the Ark when the windows of heaven are opened, and the Ark begins to ascend! 26 March 2010 -The Passover is approaching! The Barley has been seen as ‘abib’ and the new moon has been sighted in Israel. Together these witness the start of the First Biblical Month of Abib. Passover occurs on the 14th Biblical day, and the Feast of Unleavened (Chag ha Matzot) occurs on the 15th through the 21st Biblical day. This year, the date of the Biblical Passover is 31 March, beginning at sundown on 30 March. Thus the Biblical Passover Seder (‘Last Supper’) is the night of 30 March, beginning after sundown, lasting until sunrise on Wednesday, 31 March. The 7-day feast of Unleavened Bread begins 31 March at sundown, with 1 April and 7 April as High Sabbaths, in which no work is to be done (Numbers 28:16-18, 25). Let us prepare our hearts before eating the Passover meal. Let us review (Mat 5:23-24; 1Co 11:20-31), then let us become “DO-ers” of (1John 1:9)! Let us then renounce the counterfeit Passover elements we have all practiced for years. We renounce the false, simply by keeping the true Last Supper — the Passover, just as Yahushua and His Disciples did! Have a special meal together, with unleavened bread, alone or with others, as a memorial of your redemption by the blood of the Lamb. 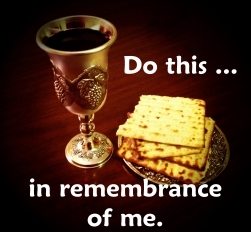 After the meal, share the unleavened Bread, and the wine or grape juice, in memorial recognition of the Body and Blood of Yahushua. References can be seen at (Mat 26:26-28; Mk 14:22-24; Lk 22:15-20; John 6:53-56; 1Co 11:23-31; Lev 23:5-6) and many others. 18 October 2009 -The ‘Last Day’ is significant to the Bride. A highly significant sign will occur on 18/19/20 October 2009, at the close of the ‘last day’ of the seventh Biblical month of 2009. The earth’s shadow, also known as the ‘antisolar point,’ will cut the cord restraining the northern fish of Pisces, prophetically representing the Bride-portion of Israel. This event occurs annually around the end of the seventh Biblical month, and may be the announcement that the northern ‘fish’ of Pisces is no longer earth-bound. It is likely a prophetic picture that the Bridegroom will have taken the Bride by resurrection in the preceding hours of its occurrence. The fact that it is the earth’s shadow rather than a visible celestial body hints of being a “hidden” event. This apparent cutting of the cord occurs in two distinct steps each year, easily seen on astronomy software such as Cybersky. First, on 19 October 2009, the shadow appears to barely touch the cord, and then backs away. Later the shadow re-approaches the cord, then proceeds to conjunct with the cord, as if to ‘cut’ the cord. The whole process is repeated next day, moving further eastward. This event occurs in 2009 around the last Biblical day of the month, and infrequently on the last day of the month in subsequent years. The initial touching of the cord appears as one that might knock on a door, early in the morning, 19 October Jerusalem time, but then backs away, only to re-approach a few hours later. This action is reminiscent of the words in Song of Solomon, chapter 5. The re-approaching and conjunction or ‘cutting’ of the cord occurs a few hours later, on 20 October between 12 midnight and 3 am, Jerusalem time, the night of 19 October, and again the night of 20 October. In a general sense, we might say the conjunctions occurs between midnight and 3 am, 20 October and 21 October 2009 Jerusalem time, or up to 18 hours earlier for many other locations. Now let’s notice the same phrase used by Yahushua (See John 6:39, 40, 44, 54; 11:24, 12:48). The ‘Last Day’ is highly significant to the Bride. Let us be warned that the date of 19/20 October 2009 is the ‘Last Day’ of the seventh Biblical month in 2009! Let us watch this sign this year, and each year, until the Bridegroom returns! This day is one of the prescribed ‘moedim’ or appointments, that Yahuweh has set aside for His people, so that they might fully prepare for the ‘Tabernacling’ that will occur 5 days later. What is its significance for us? Yom Kippur is prophetic of the final preparation of the Bride for the Bridegroom. As soon as the First day of the 7th month arrives, the Bride knows she has only ten days to prepare for the return of her Bridegroom! This next ten days now becomes to her ten days of awe, even ten days of ‘tribulation’ to her, when she realises she is filthy, and her garments are soiled, and she has very little time to prepare! So she begins to gather up, and to recognise, all the little spots she has accumulated — the unforgivenesses, the grudges, the little sins she has held close to her — and prepares to bring them all to the altar. It is the altar where the shedding of the Blood of the Lamb occurred some 2,000 years ago. It is on this altar that the sacrifice of Yahushua, the Lamb of Yahuweh, has continually provided healing and deliverance for His people (Isaiah 53:6,8,10-12). It is to this same altar that Yahuweh’s people now bring their sins, and have these sins removed, even as stones cast into the depths of the sea (Micah 7:19). The Bride knows these little sins must be enumerated before Father, and sprinkled with the Blood of Yahushua, in order to remove them, as spots removed from her garments. It is the Blood of Yahushua applied, that cleanses her from all sin. The Bride is learning to be a “DO-er” of (1John 1:7,9). The Tenth Day arrives. The Bride is called to convocate, to assemble with others, where any remaining issues can be brought to light, and relationships made right, as described in (Matthew 5:23-26). It is on this day that the Bride prophetically finds all her “kippoor” — her atonement, even her full covering, as a Bride adorned for her Husband. It is on this day that the token of her headship is put on, as the last adornment of her preparation. Now all that remains is to wait…! 20 September 2009 – Sound the Shofar — the 7th Biblical Month Has Begun! This is the day of which it is said, “No man knows the day or the hour” of its arrival. Therefore we must “Watch” for that day. *from Kefar Tavor by Chad and Barbara Peterson and by Dan and Yvonne Olivier at 18:42. *from Beersheva by Yaron Laluz at 18:51. *from Ramle by Avi Yefet and Mordechai Chayina at 19:00. *from Tekoa by Bruce Brill and Paul Thompson at 19:01. On the previous evening (Saturday September 19, 2009) visibility was impossible from Israel. 15 September 2009– The day of 15 September 2009 is the 25th day of sixth Biblical month of Elul 2009, and marks the exact Biblical day given in Scripture in which the wall of Jerusalem was completed by the people, under the leadership of Ezra and Nehemiah (Nehemiah 6:15). Does this Biblical day of 25 Elul, the day of completion of the wall, speak of a day in which the full number of the Gentiles (Nations) will be complete? 13 June 2009 – The Trumpet is blowing, to make all ready; but many will not hearken (hear and do), and will not walk as one who overcomes, and prevails, because the wrath of Yahuweh is upon them (Ezekiel 7:14). 7 May 2009– The New Moon was seen just after sundown on 26 April 2009, making Monday, 27 April 2009 the first day of the 2nd Biblical month. The Second Passover for 2009 will be on day 14, or Sunday, 10 May 2009, beginning at sundown Saturday, 9 May 2009. This day of 2nd Passover on 10 May is the 29th day of counting the Omer. The 30th day of counting the Omer is Monday, 11 May 2009, beginning at sundown Sunday, 10 May 2009. This day is the High Sabbath of the 2nd Passover. The Omer Count is one of the few Day-Counts identified in Scripture that Yahuweh’s people are urged to learn (Ps 90:12), and to do (Lev 23:16). The 40th day of counting the Omer (Ascension Day) is Thursday, 21 May 2009, beginning at sundown Wednesday, 20 May 2009. The 50th day of counting the Omer is the Feast of Shavuot (‘Pentecost’), a ‘High’ Sabbath, on Sunday, 31 May 2009, beginning at sundown Saturday, 30 May 2009. 12 April 2009 – The Countdown to Shavuot (Pentecost) has begun. Let us be reminded to ‘Watch’ – a veiled reference to the two Hebrew words referring to Watchmen — tsaphah and shamar , which taken together urge us to ‘watch, keep, observe, heed, and regard’ the Word of Yahuweh. Let us be vigilant on the 40th day of the omer count, and let us gather together in one accord on the 50th day, to celebrate Yahushua’s Festival of Shavuot (Acts 2:1-2). 5 February 2009 – See update on “Silence in Heaven for a Half Hour” – found further confirmation of the 2013 date for this celestial event that will occur in the heavens. One of the meanings of water in prophetic language speaks of teaching or revelation. We are exhorted to drink waters from that which is our own source, Messiah-in-us, and not someone else’s source. We are likewise told to disperse the same waters of truth abroad, and not disperse what we get from others. The original research we publish on this website is now being duplicated by others, but only in part, and without credit. While we want to get all the info out as much as possible, it seems that plagiarism is at epidemic proportion today. But the only thing that matters is that the Gospel gets out, by whatever means, and that the saints are able to prepare themselves! 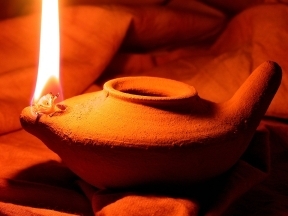 23 October 2008 – Shemini Atzeret – the Eighth-Day High Shabbat today. Rejoicing in the midst of it all! 21 October 2008 – Beginning sundown, 3rd day, Last Day of the Feast of Tabernacles. Resurrection references. 15 October 2008– Built an Evangelical Sukkah today. What is an ‘evangelical’ sukkah? This is a sukkah (“Booth”) according to Lev 23:42 that an evangelical builds, after learning that he has been grafted-in to, (Rom 11:17-25), and no longer alienated from, the commonwealth of Israel (Eph 2:12)! Tabernacles (‘Sukkot’) begins at sundown today, goes for 7 days. Why do we observe Sukkot? Because Yahushua did so, and He is our example in all things. Yahushua-in-us desires to do the same today, as He did 2,000 years ago! The Life of Messiah-in-us desires to come forth!